Remember that one time you downloaded iOS 6? 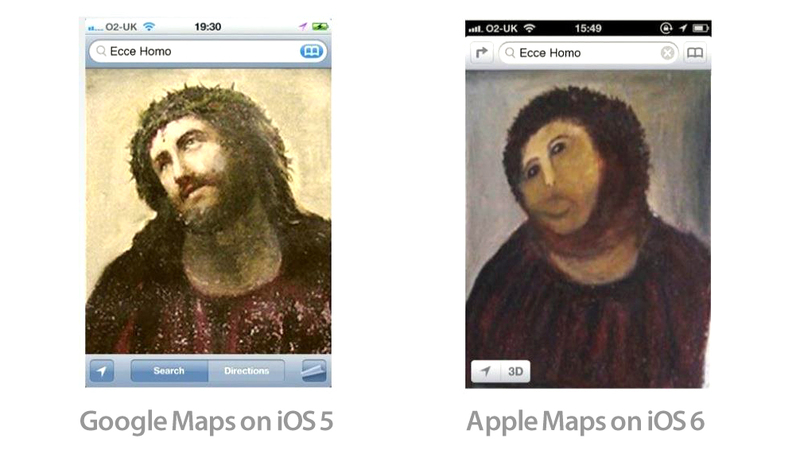 You were so excited about features like Panorama and… well, Maps. There was nothing else to be all that excited about, at least from a Christmas-morning, I-can’t-wait-to-play point of view. And then, you opened up Apple Maps to find that your childhood home didn’t really look like your childhood home at all, but a flat, f&#(ked up version of your childhood home, and that you were actually two blocks east of where you thought you were, despite the street signs that told you otherwise? Do you remember the moment you realized that you don’t have access to Google Maps anymore, when you silently lifted your eyes to the heavens and thought, “What have I done?” Hacker Ryan Petrich felt the same way, and he’s here to help rescue us, “coaxing” iOS 5 Google Maps onto a jailbroken iPhone running iOS 6. According to a tweet, and the YouTube video (above), Petrich has the old version of Google Maps working, yet says it’s still “crashy” and he isn’t ready to share the method quite yet. To get iOS 5 Google Maps running on an iOS 6 device, it must first be jailbroken. Luckily, the iPhone 5 has already been spotted running Cydia. No word on when Petrich might be ready to share his secret recipe, but there is hope, my friends. And with the way Apple Maps have been performing, the homebrew/unlocker crowd may get quite a bit bigger in the near future. That is, if Apple fails in poaching Google Maps staffers.